To discuss your joint problems further or to make an appointment to see Mr Barlow please contact us by email, telephone or by using he enquiry form. © 2015 Dorset Knee Clinic. 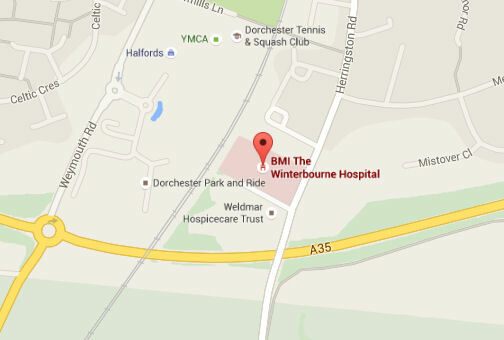 Winterbourne Hospital, Herringston Road, Dorchester, DT1 2DR. Tel: 01305 263252.